Weston Beck comes to MLCHC with a Bachelor’s of Science in molecular biology, Graduate studies in Immunology and a MMS degree! He has special interests in pediatrics and acute care. 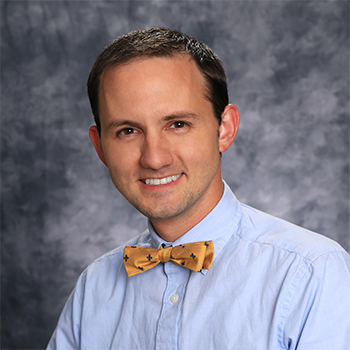 Weston continues to work at MLCHC because he has wonderful patients and excellent coworkers. "Every day I get to see and work with incredible people". Weston enjoys outdoor adventures with his family, like camping and hiking. He also likes traveling, participating in triathlons, and of course bowties!